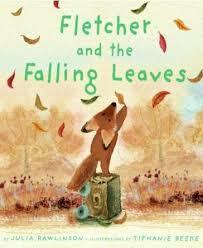 Fletcher and the Falling Leaves is one of my favorite fall books. Fletcher is a little fox who discovers that his favorite tree is changing. He begins to worry about his tree when the tree’s leaves turn brown and then begin dropping off. Fletcher tries to fix his tree, trying to tie the leaves back onto the tree. He is distraught when a squirrel and porcupine make off with the fallen leaves. When the tree is finally bare, Fletcher takes the last leaf and makes a little bed for it in his room. The next day, winter has arrived, and Fletcher is amazed at the sight of his tree shimmering with icicles. This story is very sweet, but what really makes it a keeper are the incredible illustrations of Tiphanie Beeke. Her water colors are beautiful, and my students always love the last “shimmery” page. I love to read this to my K-1 students and talk to them about the life cycles of trees. 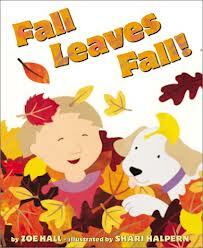 Here is a great, simple book about fall for young students. I like to read this with my pre-k and K students. The book begins with leaves in summer and then moves to how we know fall is here…leaves changing color and falling from trees. The simple illustrations show children catching falling leaves, collecting different leaves and comparing them, raking leaves and finally jumping in leaves! The children then drink warm cider and make pictures using the leaves they’ve collected. 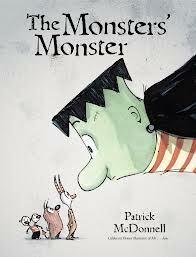 My pre-k students really enjoyed this book.